Previously only associated with rough and ready off-roaders such as the Terrano and Patrol, the X-Trail saw Nissan not just entering the lifestyle SUV market, but taking it by storm. 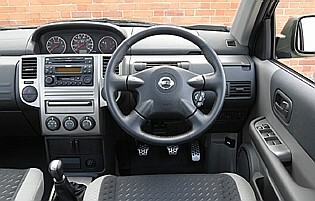 Having bided its time before launching the X-TRAIL, Nissan was able to see exactly what customers liked and loathed about the competition before giving them plenty of the former attributes and few of the latter. As a result, the X-Trail does lack a bit of character. It's a bit like the difference between a flawed but coherent concept album from a supergroup and the Greatest Hits package the X-Trail represents. It's not what you'd call a 'proper' off roader, but it's difficult to knock its all-round competence. All the essential requirements are included - a muscular appearance, plenty of space, chunky styling and some suitably beefy engines. Yet, Nissan keeps one eye on the X-Trail's main role, which is to operate on roads and in urban environments, not on grassy banks and mountainsides. In short, the X-Trail is the definitive 'soft roader' a vehicle with some off-road ability but unlikely ever to need it. 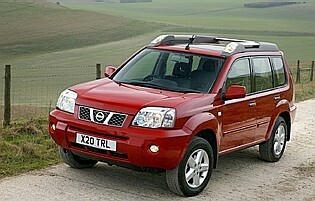 Given a minor facelifted in 2004, the X-Trail not surprisingly looks very modern. 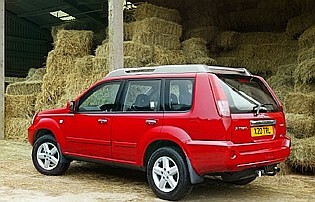 It has a more contemporary design than Land Rover's Freelander, though it still lacks much of that model's badge clout. Some interior upgrades add appeal, and in this respect, the X-Trail outshines pretty much all of the competition, offering a multitude of storage options with high levels of fit and finish. On the road the X-Trail feels more car-like than it looks. 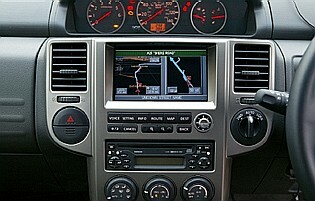 Acceleration is rapid for such a heavy vehicle, but it fares less well through corners with a slight tendency to list. It will make its way along dirt tracks and steep gradients without too much bother. Where less traction is available it feels much less assured, though it has enough ground clearance to cope with most obstacles if the driver knows what he or she is doing. Two main factors are responsible for the X-Trail's undoubted success: reliability and fashionability. Car-like running costs mean owners don't suffer too much at the pumps, while Nissan makes sure there are enough optional extras and techno-gadgets to appeal to a trendy young 'lifestyle' crowd. It's not hugely characterful, but is hugely capable.